This game uses the very popular card system which first appeared in Avalon Hill's We the People game to detail the struggle between Carthage's Hannibal and the Roman Republic in approximately 200 BC. Hannibal: Rome vs. Carthage is an asymmetrical card driven game for 2 players set in times of epic struggle between ancient Rome and Carthage. It presents a conflict between two super-powers of Antiquity from classical Clausewitzian perspective, according to which a power only reverts to military operations when there is no other way to achieve the goal: political dominance. 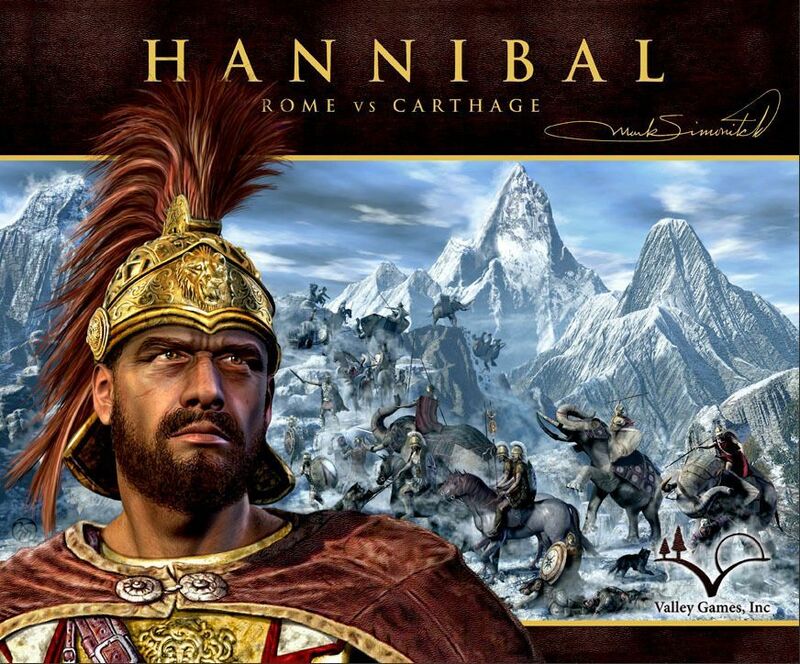 Hannibal: Rome vs. Carthage has been designed by one of the most acclaimed designers in the World, Mark Simonitch. Players use Strategy Cards for multiple purposes: moving generals, levying new troops, reinforcing existing armies, gaining political control of the provinces involved in the war, and introducing historical events. When two armies meet on the battlefield, a second set of cards, called Battle Cards, are used to determine the winner. Ultimately both players seek victory by dominating both fronts: military and political. The 20th Anniversary of the release of this classic game will see the release of a new, revised, updated, and expanded game entitled Hannibal & Hamilcar. This new edition reimplements the Hannibal: Rome vs. Carthage game, and includes the Hamilcar: First Punic War expansion. See the Hannibal & Hamilcar entry for details of the 2017 revamped game.